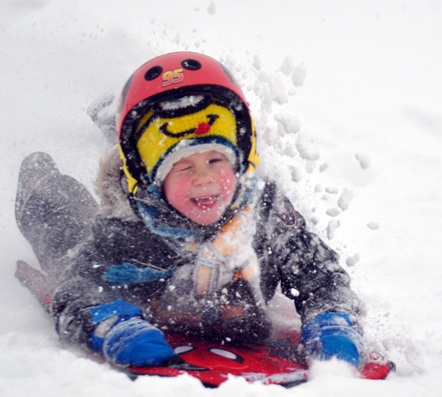 Cooper Wayte enjoys the feeling of snow flying in his face while tobogganing down the Napanee Golf and Country Club hill Tuesday afternoon. Wayte, his brother Liam, and dad Blaine were among a sizeable crowd that gathered to take advantage of the new-fallen snow. Photo by Adam Bramburger.